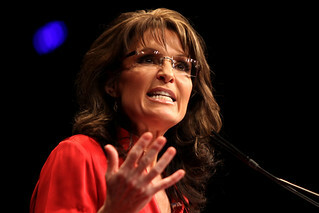 Former Alaska Governor Sarah Palin announced on Sunday she will work to defeat Paul Ryan in his Republican primary. This came after Ryan would not endorse the Republican nominee Donald Trump for president. On Thursday Republican Speaker Paul Ryan told Jake Tapper on CNN he was “not ready” to endorse Donald Trump yet. “I think Paul Ryan is soon to be ‘Cantored,’ as in Eric Cantor,” Palin said, referring to the former Republican House majority leader who was ousted in a shocking upset in 2014 when challenger Dave Brat ran to his right in a Virginia primary. “His political career is over but for a miracle because he has so disrespected the will of the people, and as the leader of the GOP, the convention, certainly he is to remain neutral, and for him to already come out and say who he will not support is not a wise decision of his,” Palin continued.